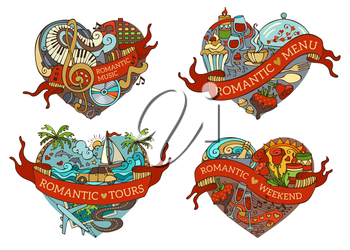 Cartoon romantic design elements isolated on white background. Valentine's symbols, love icons and signs. Music, menu, tours and weekend templates.